Bring a prospective member for free! SOPHISTICATED & CASUAL IS THE FEELING THAT WILL GREET YOU AS YOU ENTER SALTWATER FOR THE FIRST TIME. 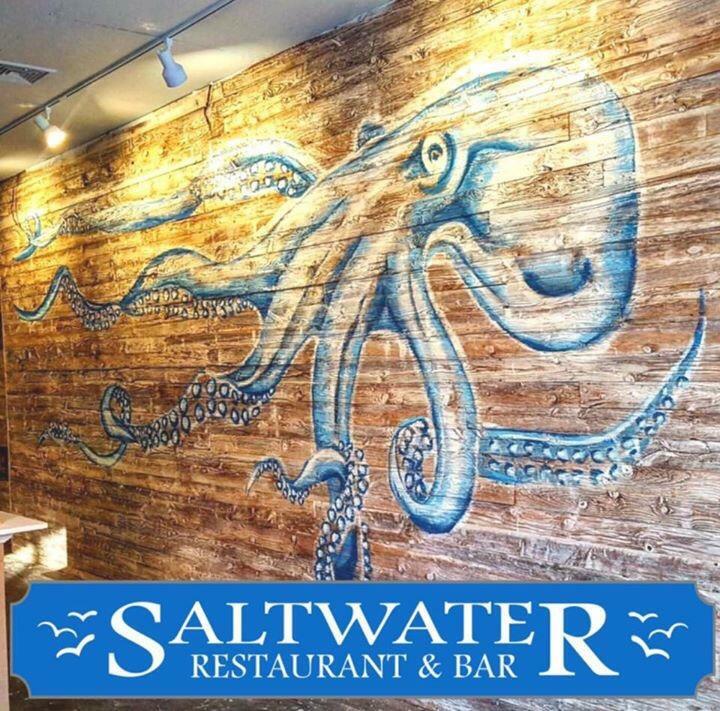 SERVING NEW ENGLAND STYLE SEAFOOD WITH AN EDGE, SALTWATER'S MISSION IS SIMPLE: THE VERY BEST IN ALL THAT THEY DO... FOOD. SERVICE. LOCATION. THEY WANT YOU TO FEEL THE ATTENTION TO DETAIL AS YOU FIRST WALK THROUGH OUR DOORS, FROM THE HAND PAINTED GIANT OCTOPUS, THEIR EXPANSIVE BAR WITH INDOOR/OUTDOOR DINING, AND WHERE YOU CAN ENJOY A COCKTAIL BEFORE DINNER, TO THEIR TWO-LEVEL DINING AREA WHERE YOU CAN ENJOY THE EXPANSIVE, YET COZY SPACE. THEIR MENU, WHICH IS NANTUCKET INSPIRED, INCLUDES SEAFOOD BOUGHT FRESH EVERY DAY RIGHT FROM THE NEW YORK FISH MARKET, WITH ONLY THE VERY BEST SELECTED TO BE PREPARED BY OUR CELEBRATED CHEF AND HIS EXPERIENCED TEAM.